As the pastor, and resident theologian, I have learned that each new day offers an opportunity to learn and grow in the faith that we are given freely through God’s grace. I have also learned that while growing is sometimes easily accepted, there are other moments when we tend to push back a bit. As one who is no different than those reading this apology, I do the same. Sometimes I embrace that grace, while other times, I push back saying, “I don’t understand,,” or , “this is not for me.” The goal of this apology is to help us all learn a bit more about how and why Lutherans offer public prayer as we do, and more specifically why we as Lutherans should pray, for those in authority, regardless their political connection, for those in authority. Additional prayers may come from the assembly. Prayers of thanksgiving for the faithful departed may include those who recently have died an those commemorated on the church’s calendar. The Bible gives us these four directives and several others which answer that question. As people of the Christian faith we believe that prayer can change situations. We believe prayer has the power to change the hearts of others. We believe prayer has the power to change our hearts. We believe prayer can bring healing and wholeness into every life. We believe prayer can bring peace in the midst of conflict, belief in the midst of unbelief and certainty in the midst of uncertainty. So, we pray. We pray for the lost, the broken, the suffering and the dying. We pray for the church, the world around us and those who are forced to live lives in unjust situations. In our prayers we give thanks to God for His bountiful and steadfast mercy. For His love that endures forever. For those concerns so deep within our hearts that we dare not speak them aloud and yes, we prayer for those in authority. We pray for those from the top down that they, too, will be found faithful, just, and kind so that regardless of who they are, they will do the right thing for the least of these. Luther once stated that when he knew it was going to be a difficult day, he would begin that day with the first three hours in prayer. The more I learn and grow, the more I believe Dr. Luther was on to something. It is my prayer that we at Good Shepherd will become a people of prayer. A people who know the power of prayer and who pray for all. “Lord God, King of the Universe, Ruler of all. We pray for all who govern and hold authority in the nations of the world. of the one who loves you more than you can ever imagine. ‘has got this’. God is the great I AM. It is going to be okay. God promises. So, cast aside all those doubts and all those worries. God is faithful from generation to generation. That includes you! let the lightning crash, though all be swept away. and the One who sanctifies you with His Holy Spirit. with a stillness, and peacefulness that passes all understanding. Trust Him. He loves you to the moon and back times a zillion. Good Shepherd Church is a good place to be. We celebrate the whole family and miss you when you are not with us. You matter! We love you in Him. -Pr. Jim. As I pen this article, it is 5:00 AM. I am not a morning person. And, as my beloved will tell you, I have never been a morning person. Yet, I have come to peace with who I am.  Still, on this day as I type, I am profoundly aware of the day. As I listen to the birds and watch the dark of night give way to the brightness of a new day my heart is full of thanksgiving. In my prayer life, the salutations that I use to address our Heavenly Father often vary. But, of late, as I quiet my spirit to begin my prayer, the same salutation comes to my mind again and again. It is simply, 'Good and Gracious God'. As a community of faith, we know of God's goodness and graciousness. Last evening was spent with the members of our council. There was not a lot of talk about the business of the church, past or present. Instead, we shared a fellowship of God's grace and some seriously good food. We enjoyed garden tours led by the pastor's 7-year-old granddaughter,  and the laughter and presence of one another. It was a joy, just to be. I am so thankful for the community of Good Shepherd. I am thankful for the joy and laughter we share when we gather as community for worship. I am thankful for the love that I see we have for each another as we support one another in both word and deed, and, the way we reach out to new folks as they appear in our midst, it is amazing, God is doing a new thing at Good Shepherd. It is a new day . . . for Good Shepherd. Perhaps you have not been with us for a while. I invite you to 'come home'. We have missed you. Perhaps you have found yourself just simply too busy during these beautiful summer weeks to come to worship; please know that we have missed you. When you are not with us your place at our Lord's Table is noticeably empty. As I complete this article, the light of day has arrived. The new day is yet another blessing. In God's goodness and graciousness and in this new day, we are being given a new opportunity to share the Good News of Jesus. We are being given a new day to encourage others in the midst of their journey. In this new day we can love, as we have first been loved by Jesus. Won't you join me in this new day at Good Shepherd­­ Church? I sure hope so. We are excited to see what our Good and Gracious God has planned. The Rev. 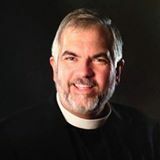 Dr. James Leroy Friesner has served as interim pastor at Good Shepherd Evangelical Lutheran Church in Manistee, Michigan since June, 2018.